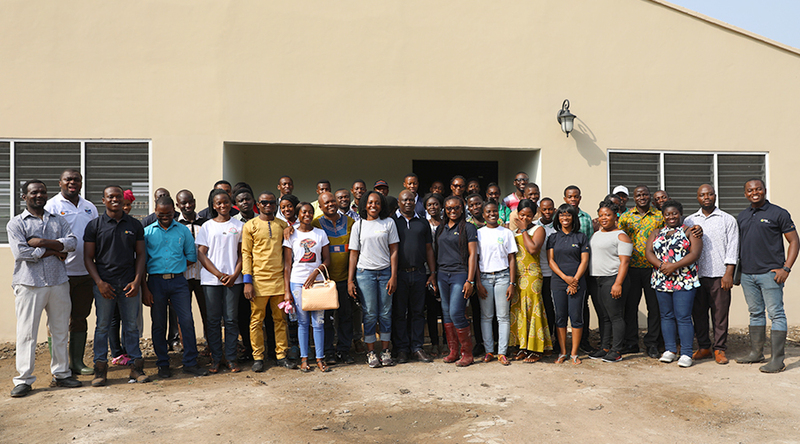 The program which was organised by Agrihouse Foundation in partnership with the Ministry of Food and Agriculture brought a number of stakeholders along the value chain of agribusiness to interact with students studying Agriculture in the various tertiary institutions across the country over at a three-day bootcamp. The day one of the program saw students taken on a field trip to RMG Ghana’s Livingfields at Asutsuare in the Eastern Region of Ghana for practical orientation on how students can find a place in agribusiness after graduating. Taking into consideration the kind of harsh condition in which farmers operate, he said, “the Livingfields has been built with those conditions factored in so that after inputs are passed from the field, they do not fall short when sold to the market”. One of the student asked why the field was not blocked in typical research field fashion to ensure accuracy of data. To this, Mr. Martin Nartey (Commercial manager) indicated that the research was not one meant to necessarily collate data for the public but to test the effectiveness of input to guide RMG Ghana in their sales and recommendations to customers and so did not necessarily require blocking. After the Livingfields experience, Managing Director of RMG Ghana, Mr. Williams Kotey lectured participant on the theme: ‘What Agric Industry Players Expect from New Graduates’. He began his presentation by outlining the various business opportunities in the agribusiness chain from production, processing, through to the final consumer. He also emphasized on the role of information technology (I.T) in the agribusiness processes in production, marketing etc. “There are opportunities in postharvest, warehousing, technology and even teaching and so it all depends on what the graduate farmer wants” he added. 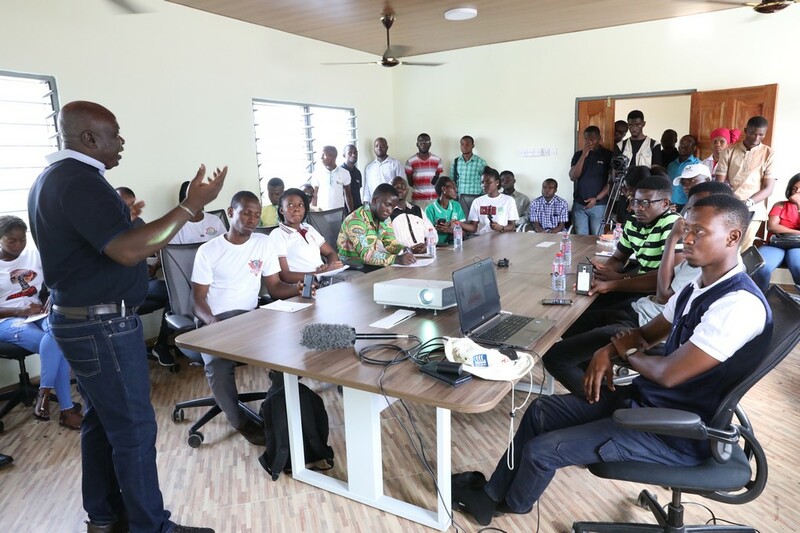 With the goal of preparing the graduate for the job market, Mr. Kotey indicated that “employees are attracted to job seekers who have a clear idea of what they have to offer their organisation and therefore know their worth by way of remuneration”. RMG not seeking to be employer but to develop talents worth employing. He also indicated that without passion and zeal, it’d be difficult to excel in Agribusiness and so graduate must love Agric and go the extra mile to keep themselves informed on the nitigrities of the sector. He added that RMG Ghana aims to develop talents who will be worth employing or be innovative to start-up their own business. Speaking after the exercise, Mr. Albert Appiah Amoako, Vice Principal of Kwadaso Agricultural College expressed his excitement at the opportunity afforded the student to acquire knowledge on the practical aspect of what they are taught. 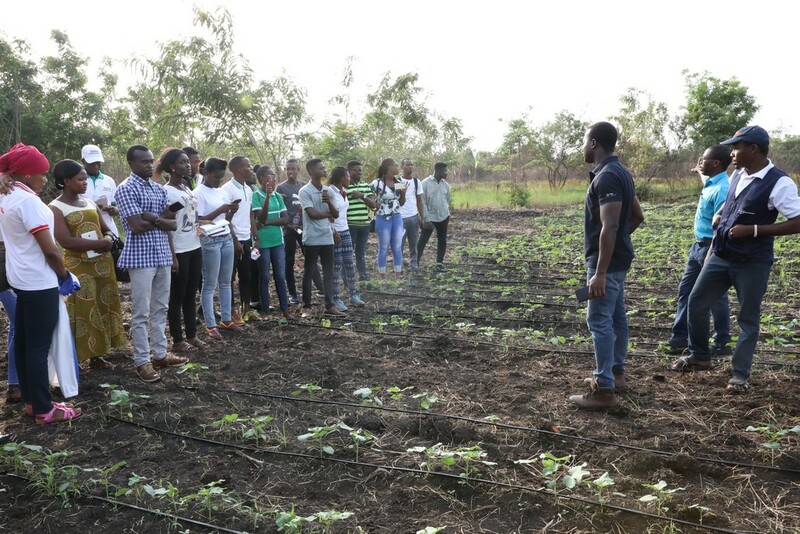 According to him, the experience will not only develop the interest of students in agribusiness, but also make them attach importance to what they are taught in school and apply them. He called on Agrihouse to expand the program to give participation opportunities to more students because it will play a key role in drawing graduate into agribusiness.